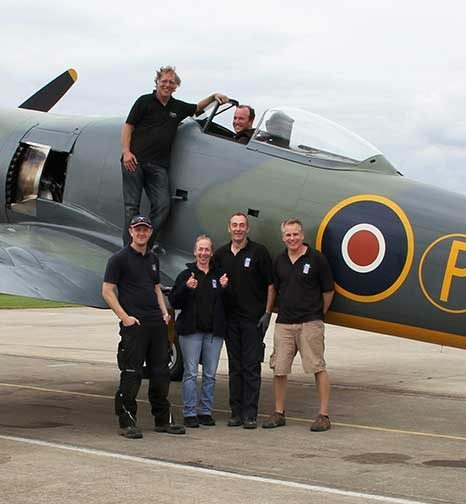 World renowned display pilot Carolyn Grace has operated The Grace Spitfire ML407 since the passing of her husband, Nick Grace, in 1988. Carolyn has been flying ML407 since 1990 at airshows throughout the UK and Europe amassing over 900 hours on the type. Carolyn flew the aircraft in significant commemorative large formations including the ‘Big Wing’ formation of 23 Spitfires at Duxford. Carolyn is well known for her emotive choreographed Spitfire displays to a live orchestra at Proms events throughout the summer months in the UK. Her Spitfire display is often described as graceful and balletic. Carolyn’s business acumen has sustained not only the continued successful operation of the Grace Spitfire but also the integrity and work ethic of Air Leasing LTD. She has guided this growing company for over 30 years ensuring stability and longevity. Richard Grace grew up around vintage aircraft, with the family Spitfire carrying out its first restoration flight in 1985 before he was one year old. 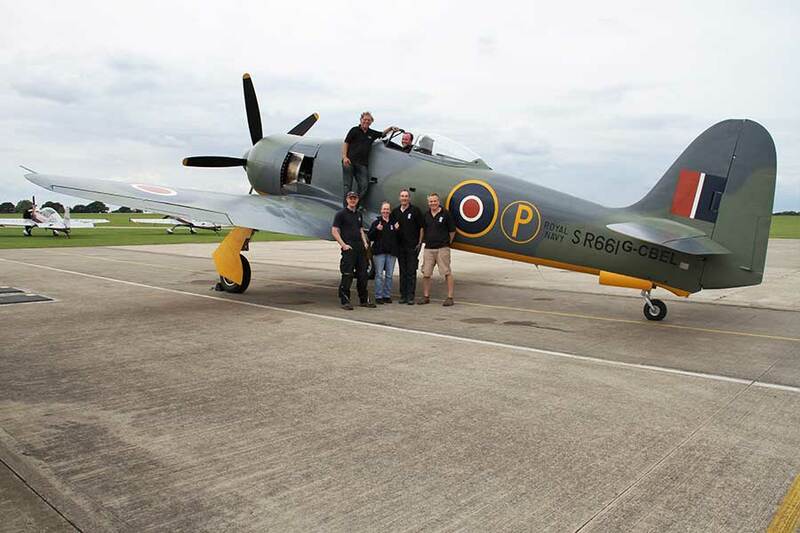 Richard has always had a passion for engineering and flying and has the opportunity of doing both at Air Leasing LTD. Richard has flown various types of WWII aircraft including Hawker Hurricane, Hawker Sea Fury, Yak 3, P-51 Mustang and numerous marks of Spitfire. Richard is also half of the Trig Aerobatic Team who carry out displays in two Pitts Specials throughout Europe. Richard rebuilt and flew his first aircraft at 20 and has not stopped since. He has been the driving force behind the companies growing business and has dealt with the sale, purchase, import, restoration and certification of various aircraft. Daisy has been with Air Leasing LTD since 2007 and carries out most of the administrative aspects air Air Leasing LTD.
Daisy is a keen pilot having gained her Private Pilots Licence in 2009 and after a career spanning various industries, including sales and cabin crew, really is the key to keeping the wheels in motion at Air Leasing.